North Korea continues in its eccentric legacies as they add another milestone to their idiosyncratic ways. State news agency, KCNA, has announced that North Korea will set its clocks back by 30 minutes to "Pyongyang time" on August 15; the 70th anniversary of liberation from Japan.That will reset the time to GMT+08:30, as it was before Japanese colonization. "The wicked Japanese imperialists committed such unpardonable crimes as depriving Korea of even its standard time while mercilessly trampling down its land with 5 000 year-long history and culture and pursuing the unheard-of policy of obliterating the Korean nation," KCNA reported on Friday. Prior to this development North Koreans already have their peculiar calendar,which rather than count from the birth of Christ, counts from the birth of founding leader, Kim Il Sung. 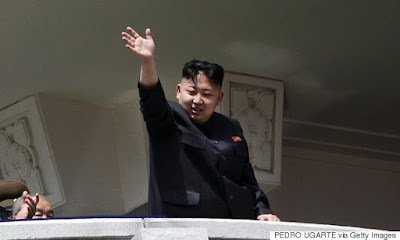 Kim was born in 1912 known in North Korea as Juche 1, making this year Juche 104. The new time will put Pyongyang half an hour behind Tokyo and Seoul. South Korean Unification Ministry spokesman, Jeong Joon-hee told a briefing on Friday that could cause some problems. "Some difficulties are likely to come in inter-Korean exchanges, including flows to and from the Kaesong Industrial Complex," he said. Jeong added it could have negative effects on inter-Korean integration in the long-term.